Sue creates art work in a variety of media. She makes Felt wall-hangings, paints in oils and water-colours, and draws with pastels. 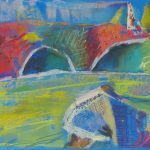 Her background is in Fine Art and she brings a painterly quality to her powerful and colourful work. 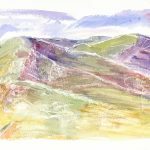 Her Landscapes are inspired by the beautiful and wild mid-Wales countryside. 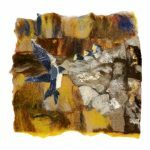 She has taught classes in many art and craft media and now teaches Felt-making in her studio. She sells Fibre, Felting Equipment, and Felt-making Kits. 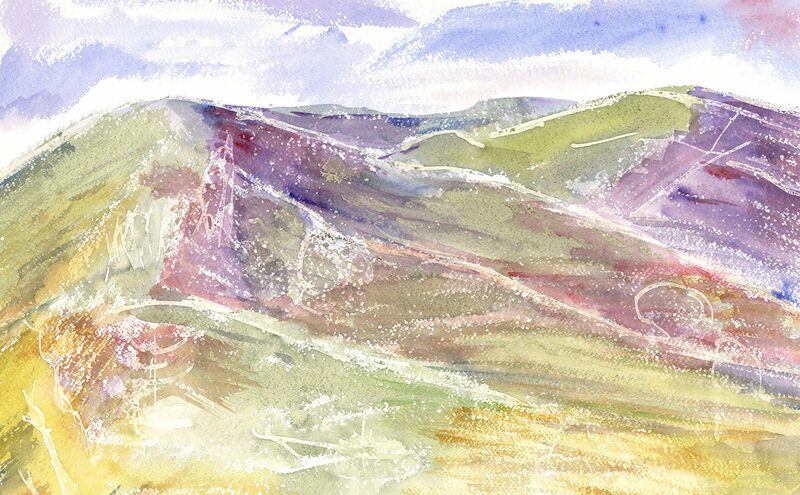 Her work is on show permanently in Oriel Seren, an Arts and Craft Gallery in Machynlleth, Powys.